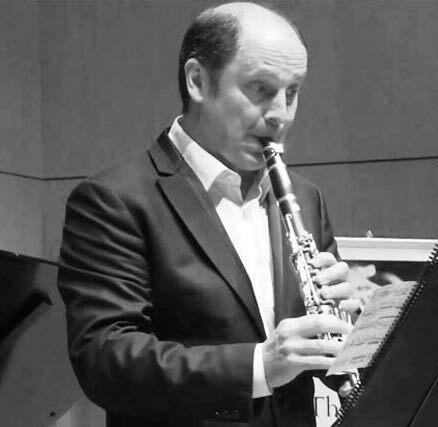 Principal Clarinet of the Paris National Opera Orchestra since 1984, Philippe Cuper has played worldwide under the direction of some of the most famous conductors of the 20th century. Born in Lille, Philippe has won many international awards, including the Paris Conservatoire (CNSM) where he got a first prize with exceptionally high honours. He was principal clarinet of the Youth World Orchestra and at 20 he was principal clarinet in the Lamoureux Orchestra in Paris. He worked with famous composers like Messiaen (Quartet), Françaix (CD recording of the concerto directed by the composer), Sauguet, Mihalovici, Rosenthal, Berio, Denisov, Komives, Hersant, Zygel, Bacri, Connesson, Girard, Maratka. He played the premiere of many concertos composed by Bacri, Stankovitch or Gronych (with Giora Feidman and Eddie Daniels) in Tel Aviv or Paquito D’Rivera clarinets quintets in Boston. Philippe is now professor at the Versailles National Conservatory and has been invited to play at many conservatories and universities throughout the world. He has recorded about 40 CDs and played with many famous string quartets. Philippe also founded the Paris Wind Octet in 1986.